our brand new website that also is our blog! Have you Uncovered Buried yet? BURIED has proved to one of MadPea's most successful games to date and there is still chance for you to play before it closes on the 31st March. 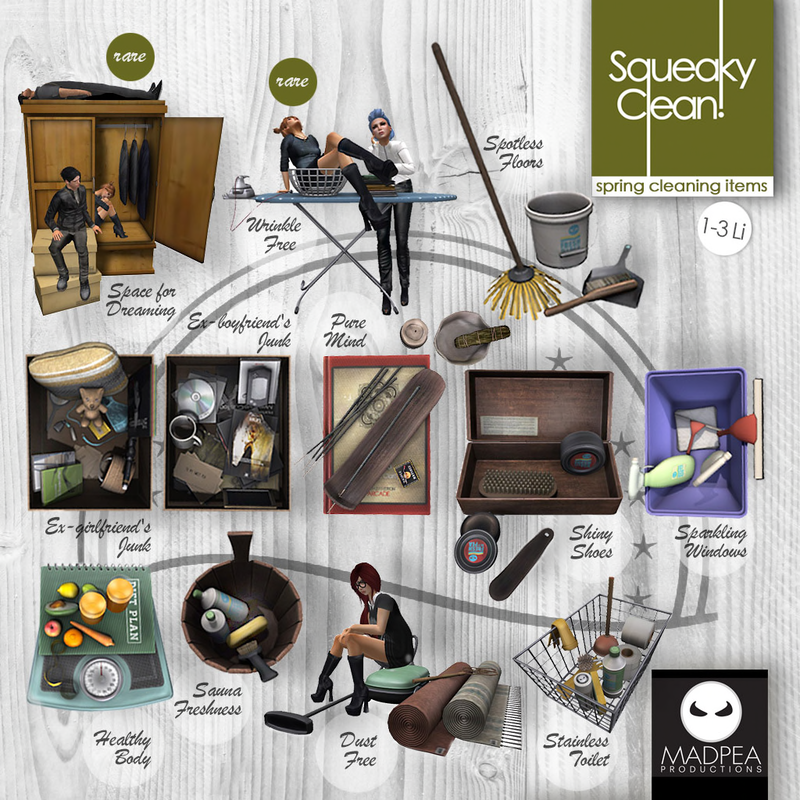 There are 25 prizes to collect after solving clues all around the grid at some of the best and most well known stores in Second Life. For only 300L$ you could have hours of fun with friends solving the mystery of the disappearance of famous writer Lily Moreno. But that's not all. Featured above and below are just a small selection of the prizes. [noctis] +abandoned caboose - this gorgeously textured caboose comes with a number of high quality animations. Perfect to live in or to decorate any sim. Cheeky Pea - Twinkle Arbor - with lights on or off. TP to Buried Island now and pick up your HUD and get hunting! 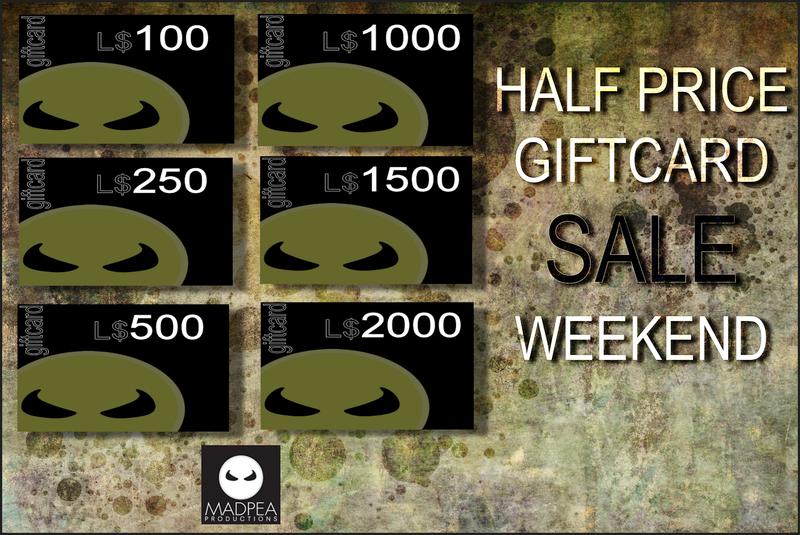 Pick up as many giftcards as you want for you and your friends and loved ones for half the normal price this weekend at the MadPea Mainstore at Consignment. *GIFTCARDS CAN BE USED ON ANY OF OUR CASPERVEND VENDORS. CLICK THE VENDOR AND CHOOSE THE GIFTCARD OPTION. Cannot be used on gacha's and for limited sales clothing items. We have a brand new group gift for our Peas ready and waiting in our store on the Consignment sim. The Turbo Clock is perfect for any home and is lovingly restored by Wavie Haller from Consignment specially for our vips. Beautifully textured, this unscripted clock is modifiable so you can resize for your home or business. 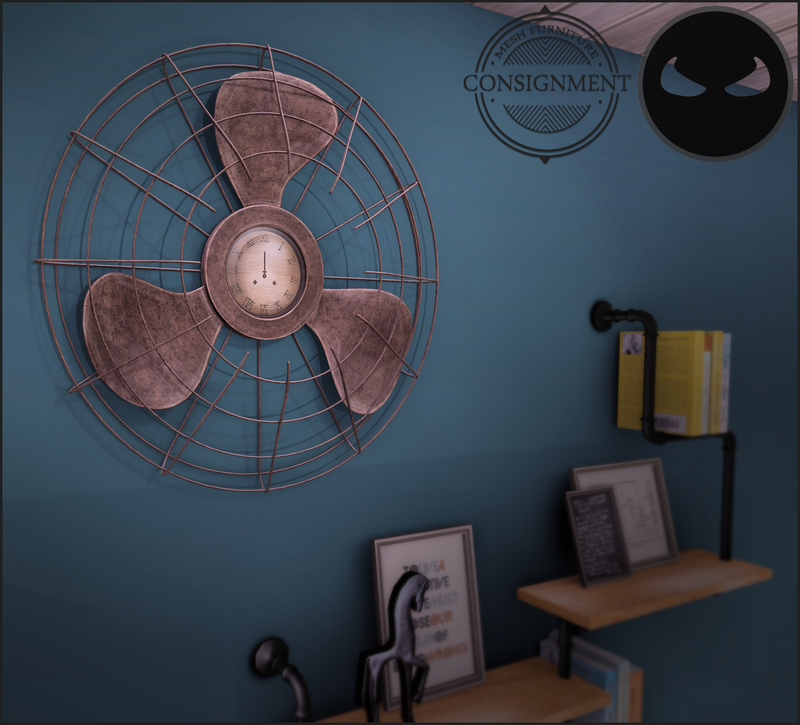 Available now at the mainstore and from Consignment. I'm a girl with a LOT of shoes! Shoes and Hair have a constant battle to be numero uno in my inventory and just when hair streaks ahead shoes come from behind and beg me to buy them! I shouldn't have to do housework! I'm a Princess. I behave like a Princess and I like to be called Princess. So why, oh why am I doing housework? Princesses don't do housework...they have people to do housework for them! I need a maid...yeps, that's what I am going to do. Get a Pea Maid! MadPea and The Mieville Midway Halloween Gacha Expo!